Last week, the federal government released unemployment statistics for March 2013. Even though the federal and provincial governments have made significant investments to strengthen the economy and to grow jobs, a staggering 54,500 net jobs were lost, wiping out gains experienced in previous months. Critics may charge that government initiatives have not fulfilled their promise and require a change in direction. I, however, maintain that we should invest even further in strengthening the foundations of the economy and conditions for employment. Specifically, this means investing in education - at all levels - to prepare our young people and to re-tool experienced workers to respond to a changing global economy. Education is a long-term investment in our future. An estimated 65 per cent of today's school students may end up doing work that hasn't yet been invented. Education prepares the next generation to be informed citizens, to pursue their interests and passions, to assume their rights and responsibilities, and to contribute to their economy and community. It sustains a civil society and a productive economy. The acid test is how do we prepare our young people for that future and support workers for the transition? The federal and provincial governments have focused their policies on the skilled trades, which have been undervalued and underfunded. Each has introduced programs to address the misalignment of skilled trades and available jobs, to encourage under-represented groups to pursue skilled trades, and to work with employers - who are the best judges of their needs - to identify changes to regulatory environments across provinces. Here in the Okanagan, the B.C. government announced $28 million to expand and renovate trades training facilities at Okanagan College. Future welders, heavy-duty mechanics, electricians, plumbers and other skilled workers will be better prepared for a new and robust economy in the region and in the province. The Economic Action Plan 2013, released by Finance Minister Jim Flaherty, emphasized the importance of education and training to create jobs and strengthen the economy while balancing sustained growth and long-term prosperity. Investments by the federal government in universities and their research have fueled a Canadian competitive advantage that develops skills, stimulates innovation and provides the experiences required to meet the challenges of a global marketplace. Some have argued academia has been slow to respond to the needs of local employers. This view fails to appreciate the contributions their graduates make to professions, institutions, and governments that shape and define our society. Research has changed the lives of Canadians, transformed industries, and prepared graduates to lead in a new economy. All levels of education are critical to making Canada more innovative, competitive and dynamic. Our K-12 system provides the foundation for post-secondary education and skills training. While there is disagreement about funding models and accountabilities, it is clear struggling with these issues is worthy work. As the world watches European nations come to terms with years of questionable leadership to resolve economic and social problems, Canada's economic success is a measure of our collective efforts to make difficult decisions in the interest of long-term benefit. The fragile global economy, however, reminds us of the competitive edge we need to continuously hone. A strong education system provides resilience in the face of uncertainty. An education system that is relevant and visionary takes strategic investment and long-term commitment to support a dynamic, sustainable economy and society. 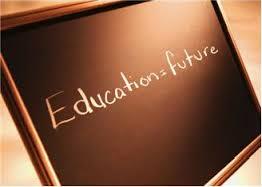 Education, after all, is the ultimate renewable resource.